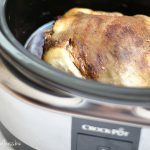 I started thinking…which of my go-to recipes would translate well in the crockpot? I quickly decided that I wanted to tackle Crockpot Greens & Beans. Unless you are of Italian descent, or have frequented many Italian restaurants, there’s a chance that you’ve never even heard of it. Well, my friends, prepare to have your mind…and your taste buds blown! My Grandma learned much about cooking from her Dad (mine & Kelly’s Great Grandfather), but all of the Italian dishes (such as this one) came from her Mother-in-law. However, the truth of the matter is, my Great Grandma NEVER wrote anything down! So many of the recipes have been passed down verbally and are perhaps a little bit different each time that they are made. 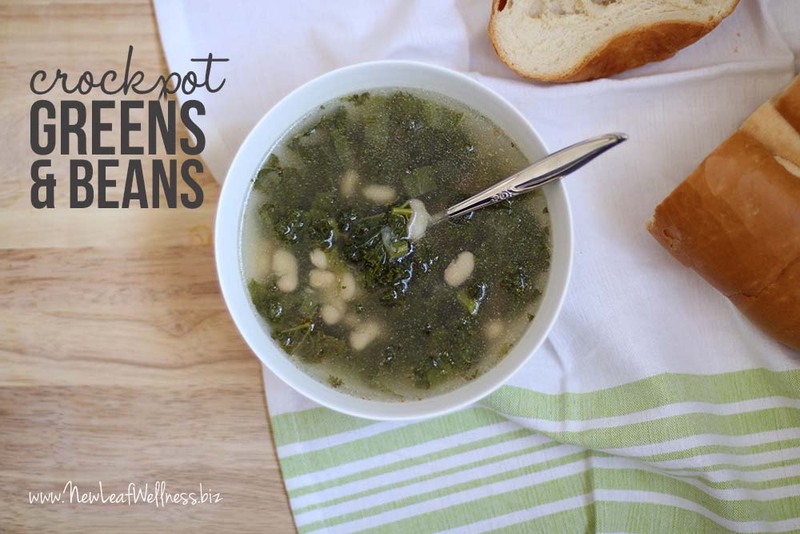 Greens & Beans is something that I make when we need to go grocery shopping! Its ingredients are usually the last foods left in our house, and when combined they create one of the healthiest, most delicious comfort foods you could possibly imagine. Usually, like my Grandmother, I wing it…at least I used to before I created this crockpot version. Now, I may never make it on the stove again…it’s THAT good!! *Honestly, I’m not one to stick to recipes (hmm…wonder where I get that from!) Which means I’m also ALL about substitutions. If that makes you uncomfortable, skip this paragraph!! If not, read on. Although, cannellini beans are the traditional bean for this dish, it will be equally delicious with great northern beans, navy beans or pretty much any white bean you come across. Also, I prefer to not discriminate when it comes to greens. My Grandma, typically uses escarole, but I have literally made this dish with every green under the sun!! Escarole, kale, spinach, mixed field greens, etc. You truly cannot go wrong!! 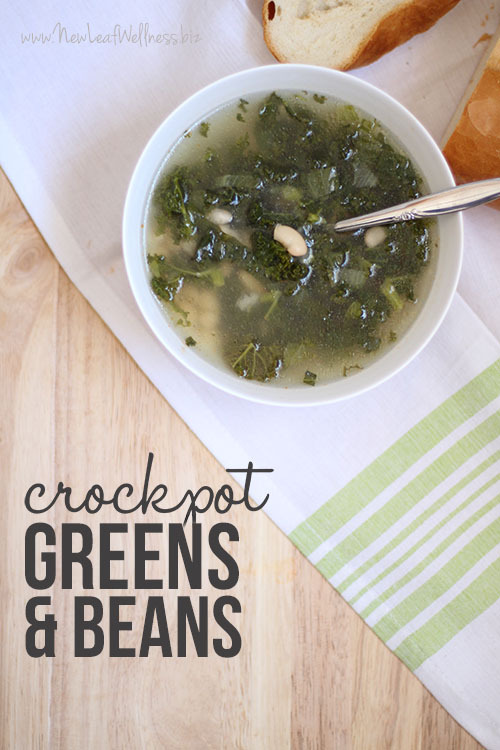 Place all ingredients except greens and parmesan cheese in the crockpot. Cook on “low” setting for 6-8 hours, or until beans are tender. Add greens, stir, and continue to cook on “low” for 1/2 hour. Serve in soup bowls and top with freshly grated Parmesan cheese. The only side dish you need is a big loaf of crusty bread…oh, and maybe a nice glass of red wine! I LOVE garlic. So I prefer A LOT (5 cloves) and sliced (so that you can actually savor the individual flavor). But less is OK too and minced is equally fine. You know what you and your family like and dislike, so go with your gut! I’m a big fan of freezing my garlic, it makes it easier to slice or mince. If you cook with half as much garlic and onions as I do, I recommend investing in one of these Stainless Steel Bars. A Note From Kelly: If your family is full of crazy meat-eaters like mine, you can add a pound of ground Italian sausage to this recipe. 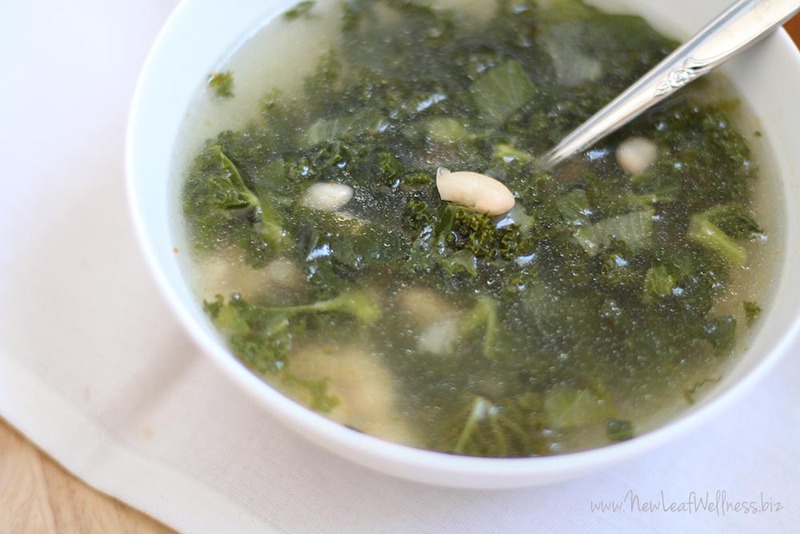 I’ve tried Jill’s recipe with this addition and it’s delicious! question…so if I substitute dry beans with canned beans do I reduce the amount of water??? and if so then by how much? I’d probably decrease four cups. The final product has the consistency of a delicious soup, so you still want a lot of liquid in the crockpot. What are the directions for freezing this dish? Looks great! Add everything to a gallon-sized plastic freezer bag except the water, broth, and parm cheese. Add those the day of cooking. If you don’t add the greens until the end of the cooking period, why would you add it to the bag to freeze? I think they taste fine cooked with the rest of the ingredients. I like to buy as many ingredients as I can when I’m prepping freezer meals to simplify when I have to buy/add the day of cooking. Can you use collard greens? I think so, but I’ve never tried them myself. 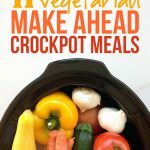 40 Crock Pot Meals!!! | Homeschooling the whole tribe! If Ya don’t soak the beans over nite my experience has been they never soften also, I would think he greens would cook down too much. No? To be honest, it works out. I think soaking the beans ahead of time can help with digestion though.